WAAAH I'M BACK WITH AN ANOTHER FANART OF FGO!!! She’s gorgeous!!!!!! 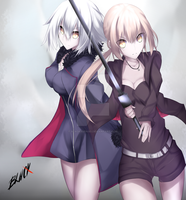 I’m so in love with how you drew Jeanne Alter!!!! !